The summer is mostly fun activities, and the main program ramps up in the fall, when the academic year begins. Don’t worry, you don’t need to go to everything. 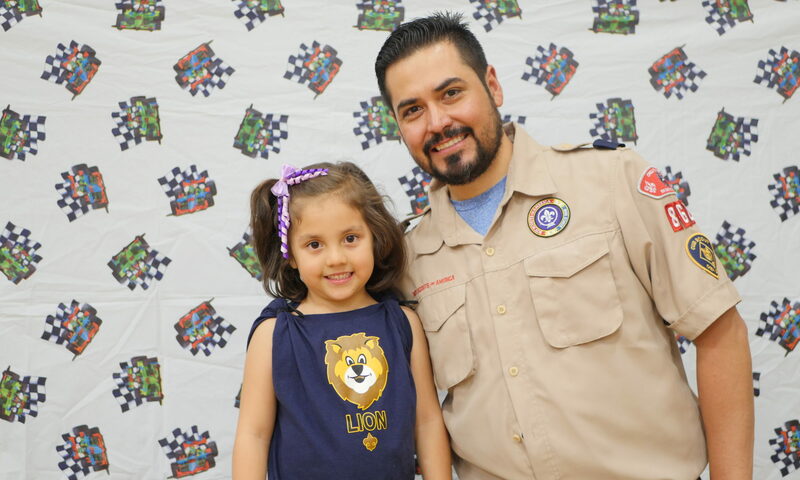 However, Cub Scouts is so fun, your Scout will want to go! Check our Facebook page to see what is going on now! June, after school is out A district activity, 6 PM - 9 PM each night for one week, where Scouts can experience crafts, BB guns, archery, games, and more. This is the first event that graduating kindergartners can participate in. This is a great first Scouting event! We need to talk to you by mid-May of your kindergarten year to get you set up for it. June, after school is out Scouts race raingutter regatta boats they built. late June or early July The Webelos (4th and 5th graders) attend a three night camp run by Circle Ten Council. July pack meeting Cool off or have fun during the summer months. before school begins One last fun event before the academic year starts anew! a Friday in September Scouts build water bottle rockets from two liter soda bottles. We launch them and see whose does the best! early October, often same weekend as Dallas ISD elementary fair day Family campout at an area state park. First opportunity to be presented awards. Location selected by the Webelos II (oldest) Cub Scouts get to chose site as this is their last Pack 862 family campout. a Saturday in late September This is a district activity, so many packs come together to enjoy Cub Scout-oriented activities in an area park. a weekend in early November Usually at an area BSA camp and a more primitive experience than the state parks. We operate more like a Scouts BSA unit and do more rugged activities. a Saturday in early December Second opportunity to be presented awards. Holiday-themed fun. Saturday in late January A favorite pack meeting where the Scouts race their pinewood derbies to see whose is fastest. Awards also given for most creative, hard luck, and more. early to mid-February Boy Scouts of America's biggest service project. With other area scouts, we supply the White Rock Center of Hope with a third of its annual food inventory. March (not to conflict with primitive campout) A new tradition started in 2014, the pack does a different, longer trip. March Our biggest and most elaborate pack meeting, this is both the celebration of Cub Scouting's birthday and celebration of our oldest Cub Scouts, who cross over to Scouts BSA. mid-April A second primitive camping opportunity. first weekend in May Another family campout experience, usually at an area state park. We also participate in FTLOTL’s Shoreline Spruce Up, generally on the second Saturday of the month.